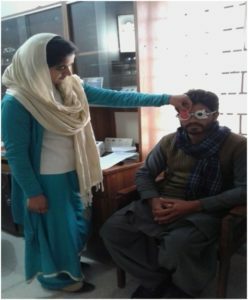 Munawwar Welfare Foundation Chakwal (MWF) arranged a free eye camp at IRADA centre Boochaal kalan (Rehabilitation center for the Disabled)on 09-02-2016. 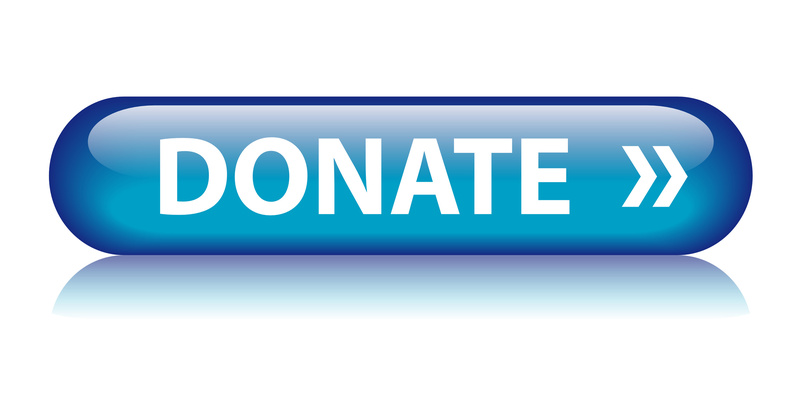 MWF team was led by Khuram shahzad along with Saira Bushra and Aitzaz Anjum. 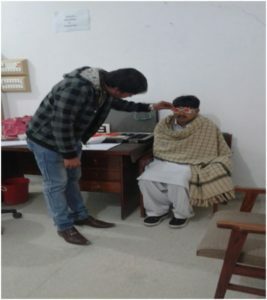 This was a screening camp, where all patients’ vision test was performed by Snellen chart and patients who failed the test were examined by optometrist and a refraction was then carried out. Measuring visual acuity was challenging because of these special children being unable to hear and speak. They were trained how to respond to alphabets by making different signs.There were 60 students among those 48 were unable to hear and speak, while 12 had other forms of disability. Following summarizes the camp outcome on the day of screening. Out of 60 students 45 were normal (visual acuity 6/6).Retinoscopy and ophthalmoscopy were performed on rest of the students. students were provided spectacles by refraction with Retinoscope. One student had Squint(and one with Pterygium. There were 2 patient with corneal opacity due to trauma and one patient with Optic atrophy. These 5 patients were referred to MMH where a more complete examination and further treatment was offered at no cost to patients or IRADA.